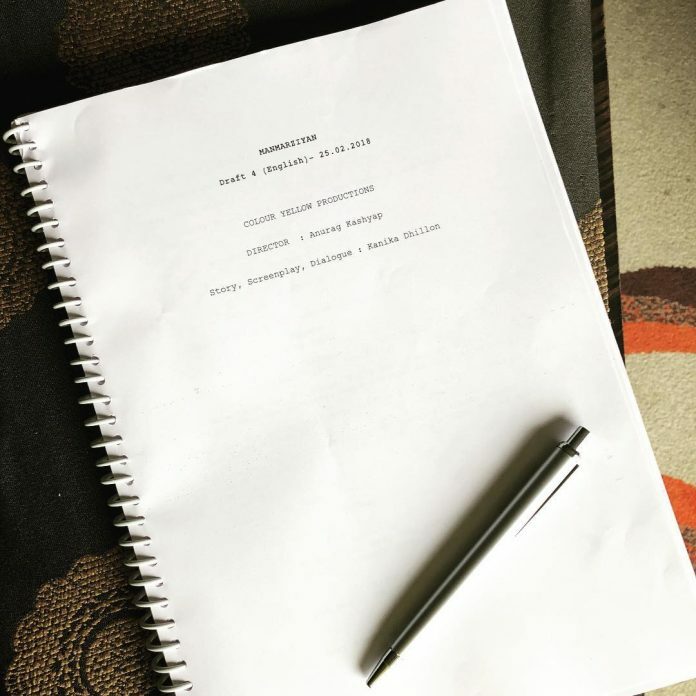 Lead actors Abhishek Bachchan, Taapsee Pannu and Vicky Kaushal will soon be seen together in the upcoming film Manmarziyan. The film is helmed by Anurag Kashyap and produced by Anand L Rai and is currently being shot at Amritsar. Abhishek Bachchan, recently hinted that he will soon begin shooting for the film and Tweeted a picture. The picture was a selfie and wrote, “Almost time… Manmarziyan”. Abhishek in the film will be seen paired opposite Taapsee. Taapsee and Abhishek will be shooting for a romantic scene in snowfall at the picturesque locations of Kashmir. Reports said that the first schedule will be shot in Kashmir as the makers want to capture the snowfall. The film Manmarziyan was planned since a long time and the initial cast was different. Actors Aayushmann Khurrana and Bhumi Pednekar were the initial cast and was expected to be helmed by Sameer Arya. Later Ashwiny Iyer Tiwari was brought in as the director but after she left, Anurag Kashyap has been brought on board and will be produced by Anand L Rai. Abhishek was last seen in the film Housefull 3 which did a good business at the box office. This will be the first time the audience will get to see Abhishek Bachchan and Taapsee Pannu share the screen space.